The Yorkshire Terrier, commonly known as the Yorkie, is active, playful, intelligent, alert, and independent. He is also willing to please and a very devoted companion. Despite his small size, he is always more than willing to protect his family. The Yorkies are, generally speaking, a relatively healthy breed. Many Yorkies enjoy a long healthy life. The average lifespan of a Yorkie is between 13 and 16 years. 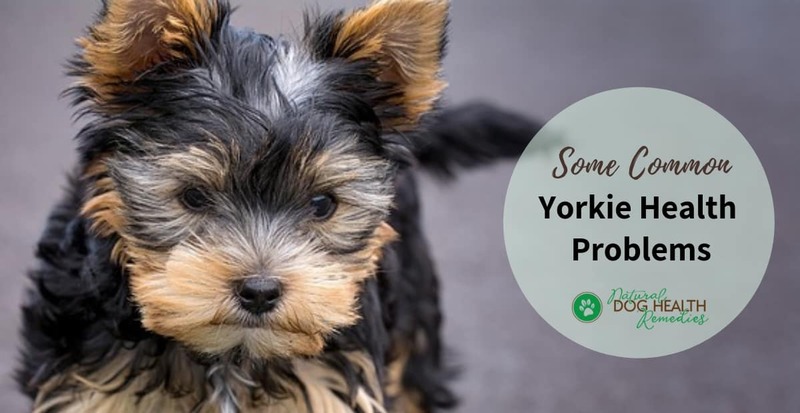 However, like all other breeds, Yorkies are susceptible to several inherited diseases, as well as health issues that small breed dogs are susceptible to. Hypoglycemia (low blood sugar), is a common issue in small breed dogs. It is the result of a metabolic disorder. Signs of hypoglycemia include weakness, confusion, disorientation, shaking, seizures. In serious cases, the dog collapses and dies. 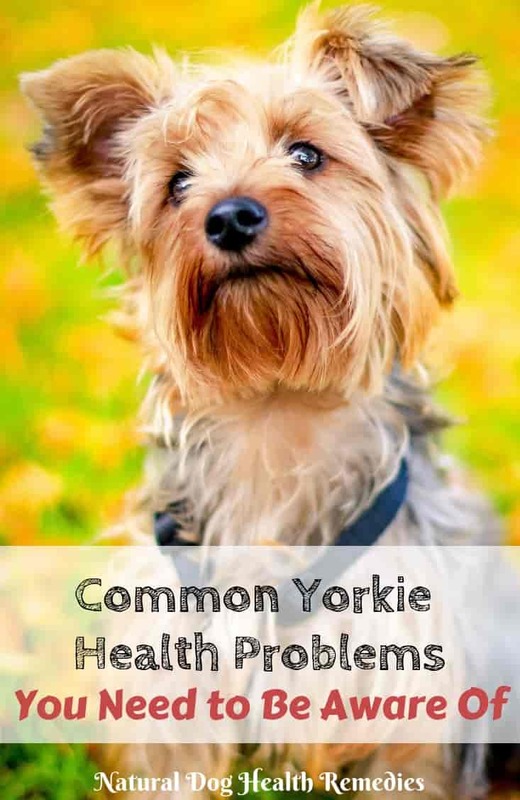 You need to act fast if your Yorkie is having a hypoglycemic attack, otherwise this could be fatal. If a dog is showing signs of hypoglycemia, quickly give her some sugar (e.g. honey, corn syrup, jam) by mouth. 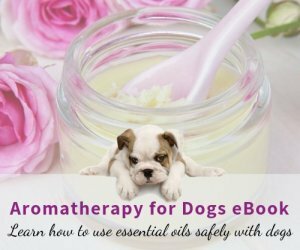 If your dog has already lost consciousness, rub some honey inside her mouth and on her gums. Then rush her to the vet for further treatment. Another problem that commonly afflicts small breed dogs such as Yorkies is patellar luxation, or dislocated kneecap. A dog with this hereditary problem has leg bones that are malformed. This results in the kneecap being repeatedly pulled out of position. When the kneecap is dislocated, the dog will limp with the affected leg held off the ground. You may also see him constantly stretching the leg out behind him in an attempt to click the cartilage back into place. If left untreated, the dog will eventually develop osteoarthritis. Tracheal collapse also commonly afflicts small breed dogs. The trachea (windpipe) is formed and supported by rings of cartilage. Tracheal collapse occurs when the the cartilage rings are weakened. This causes the windpipe to become narrower, and the membrane lining the trachea inflamed. A dog with this problem will have a dry, hacking cough, harsh breathing, and gagging. Treatment involves controlling the cough, and using supplements such as glucosamine to strengthen cartilage. To protect your dog's throat and keep pressure off the airway, use a harness instead of a collar. This is a problem of the hip joints of young (4 to 12 months), small-breed dogs such as the Yorkies. With LCP, the head of the femur begins to degenerate and disintegrate causing limping, pain, and eventually, arthritis. Treatment of the condition is dependent on the severity of the symptoms. If diagnosed early and the symptoms are mild, enforced rest (such as putting the hind leg in a sling for a period of time) may be sufficient to allow healing. In more severe cases, surgical removal of the damaged head of the femur is the only treatment. This procedure effectively eliminates the source of the pain, and the affected dog should have a good quality of life thereafter. Yorkies are susceptible to certain eye problems, such as retinal dysplasia, dry eye, and entropion. Visit this page on Dog Eye Problems to read more about these eye issues that may affect your Yorkie. Yorkies are also prone to a liver problem called liver shunt. Because of the shunting, the liver cannot properly break down toxins in the dog's body. Over time, this may cause seizures due to toxin buildup. 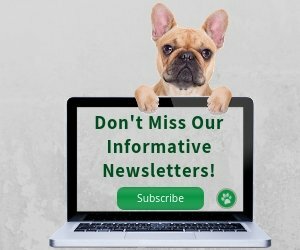 Be sure to read this page on Liver Shunt in Dogs to learn more about this liver problem. Yorkies tend to have sensitive skin. The most common type of skin conditions that Yorkies have include skin allergies caused by seasonal pollen, pollution, and food. Their coats may get very dry due to scratching and biting and eventually leading to massive hair loss. Also, many Yorkies have a sensitive stomach and eating foods outside of a regular diet may cause vomiting or diarrhea. It is important, therefore, to feed Yorkies a regular diet. If you need to switch to another type of food, be sure to make the switch gradually over a period of 7 to 10 days. The Yorkie's stomach is also sensitive to the environment and changes. They are prone to diarrhea or vomiting when there is a sudden change in the environment or daily routine. Use this Chinese herbal formula for your Yorkie if s/he shows stiffness and pain due to inflammation and stiffness of the joints. Coughing caused by problems like tracheal collapse can be soothed and eased by this herbal formula as it eases breathing, reduces mucous production and clears it from the lungs. 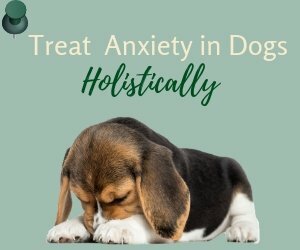 Use this excellent herbal formula for dogs prone to seizures. It contains nerve-calming and nourishing herbs such as chamomile, ginseng, passion flower, St.-John's wort, valerian root, etc. Yorkies suffering from eye problems such as dry eye can find relief by using this eyewash, which not only cleans the eyes but also promotes healing of sore, inflamed, and infected eyes.